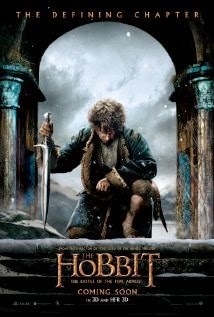 Plot: Bilbo and Gandalf must work together to try to save Middle-Earth from the greed of its varied inhabitants. Director Peter Jackson finishes strong with the final installment in THE HOBBIT trilogy. It's not the best film of the bunch, but it is satisfying enough that fans of the series will walk away feeling fulfilled. I will say that it feels like there is something missing from this movie. To be quite honest I can't figure it out, but I think it's the lack of character depth. This is essentially a 2 1/2 hour CGI battle movie and I would have liked a bit more story out of it. The action is spectacular, the creatures are fascinating and the quest is compelling. And, without giving anything away, the finale of this film ties in beautifully to the beginning of THE LORD OF THE RINGS trilogy. It's the end of an era, so enjoy this one. 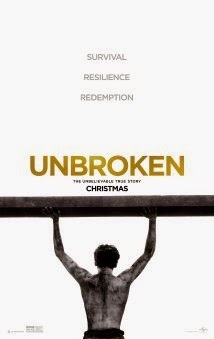 Chris Pine steals the show and his song "Agony" is the highlight of the entire film. 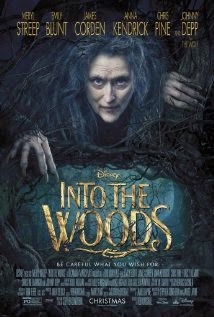 Meryl Streep does a fine job, although I didn't consider it to be award-worthy. If I had my choice of award nominations for this movie I would give the nod to Daniel Huttlestone who plays Jack. (He also plays Gavroche in Les Mis). He is mesmerizing once again.